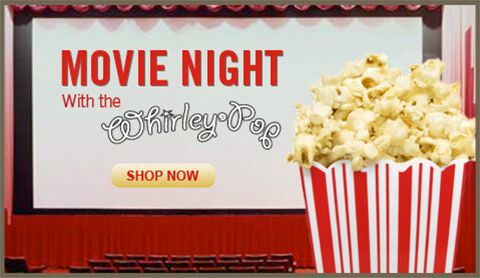 Welcome to the Whirley Pop Shop...the official home of the Whirley Pop Popcorn Popper! You’ve probably seen or heard about the Whirley Pop Popcorn Popper and how it makes fabulous movie theater style popcorn at home in minutes, but if you haven’t we’re glad you stopped in! This stovetop popcorn popper is becoming a fast favorite in homes around the world, making fresh and delicious popcorn for movie nights, parties, and just because. If you’re a popcorn lover who appreciates the taste of popcorn fresh from the cinema, then you’ll love having this stovetop popcorn popper in your kitchen. We know – we all have them ourselves! 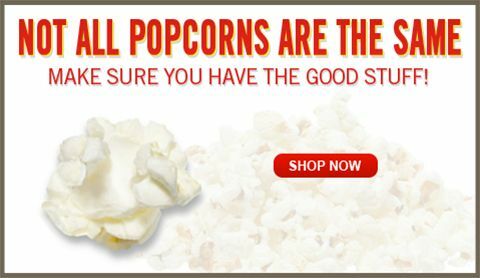 In our selection, you’ll find Whirley Pop Popcorn poppers, popping corn, popping oils, and accessories for using with you stovetop popcorn popper. Plus, be sure to check out our gourmet seasonings and gifts that are sure to delight any popcorn lover! The Whirley Pop is the best popcorn popper for the stovetop out there – and we can’t wait for you to try it. Thanks for stopping in and if you have any questions, give us a call at 888-272-7778!